I actually had a little free time this weekend, and although I was so tempted to rest, I felt I needed to take advantage and do something that’s been on my mind. 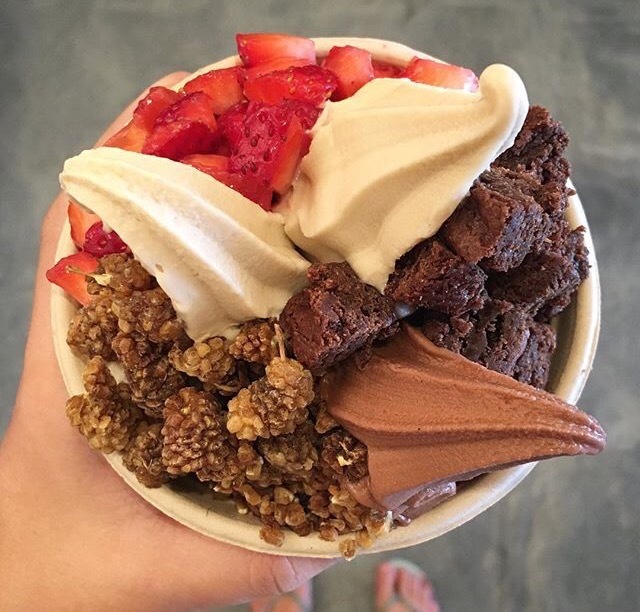 During my business planning stage a few years back, I went to lots of different frozen yogurt stores to taste their products and see their spaces. 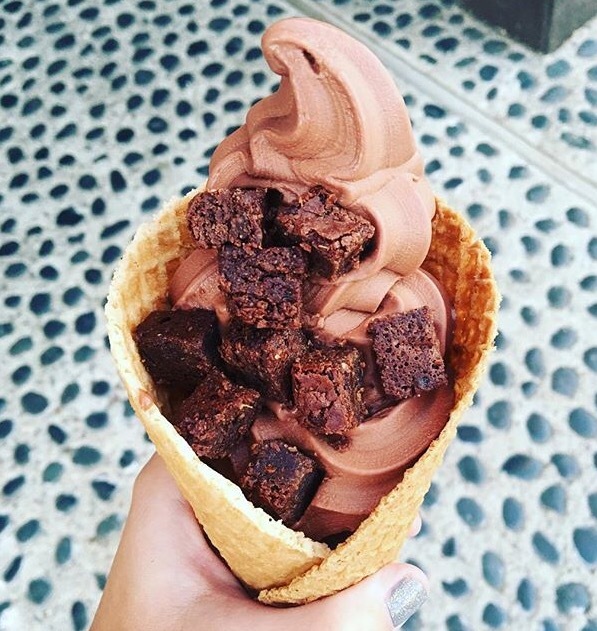 In the last 6 months or so, I’ve heard about new places offering non-dairy soft serve options or fully vegan places, so I wanted to check them out. Kind of like taking a field trip, so that’s what I did. I hit 4 different stores this weekend, all over LA. 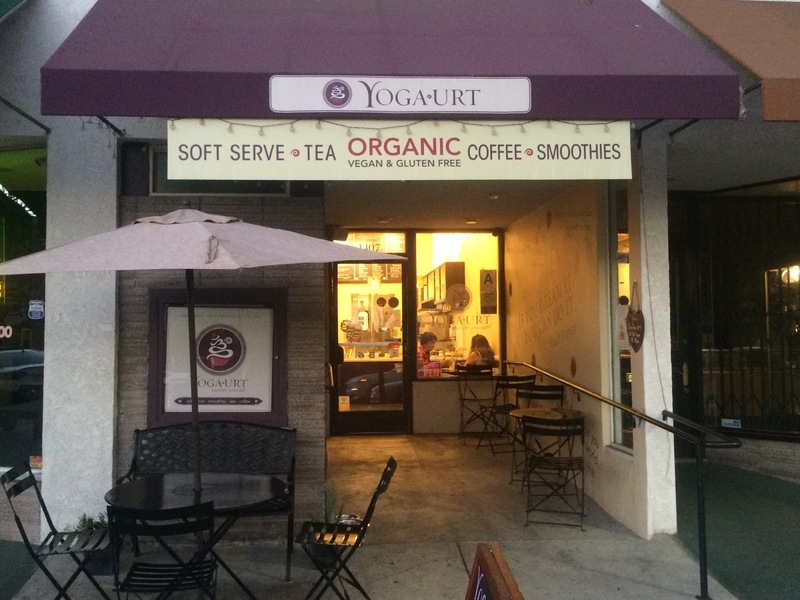 If I’m being honest, my hope was that Yoga-urt would be better so that I wouldn’t have to worry about these places. And in most cases, that was true. However, they were all very unique and what is clear is that non-dairy options are popular. There was 1 place in particular that was mostly dairy with 2 vegan options that I found interesting. I thought the 2 vegan options tasted pretty good, but I wasn’t in love with their dairy options. Or maybe I just don’t like dairy anymore? Hmm. But, they had nonstop traffic while I was there. Much more than we do at that time on a Sunday and I really think it’s because of their location. They are next to two busy markets, in a busy shopping strip, and a hip area. Good for them! Then I think about our location, and how sleepy a neighborhood Kenneth Village is. I am convinced now more than ever that if we were on a high traffic street, we would’ve blown up big time. 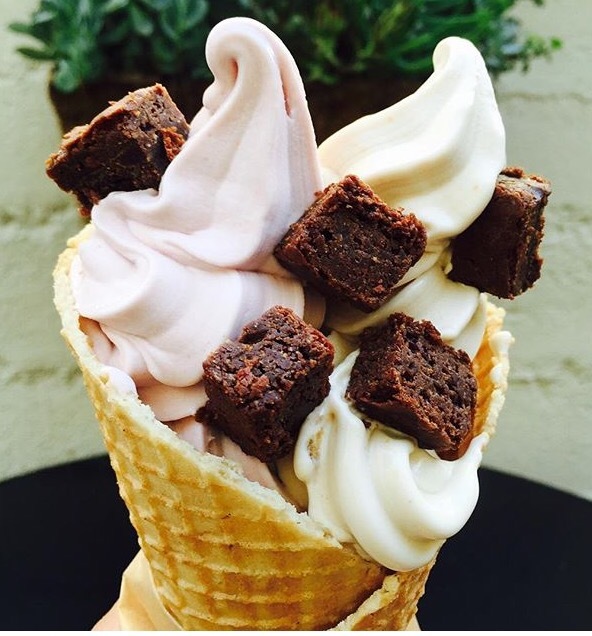 We are so fortunate to have people drive from all over LA to come to Yoga-urt, and although I knew this, Kenneth Village just doesn’t have that foot traffic. But maybe we are meant to build up slowly so that we can get through all of the kinks before things go crazy. Plus, this last year was hard enough and would’ve been even more challenging if we blew up right away since I still have my full-time job. At the end of the day, I made the best decision I could at the time and know that everything works out as it is meant to. I will continue to focus on Yoga-urt and what makes us special, and know that there is room for all of us.